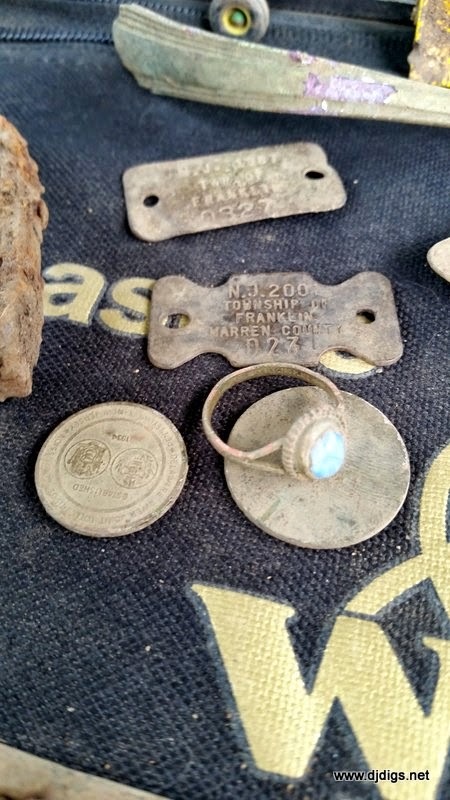 After a hectic couple of weeks, I was excited to get out early this morning for a day of detecting. 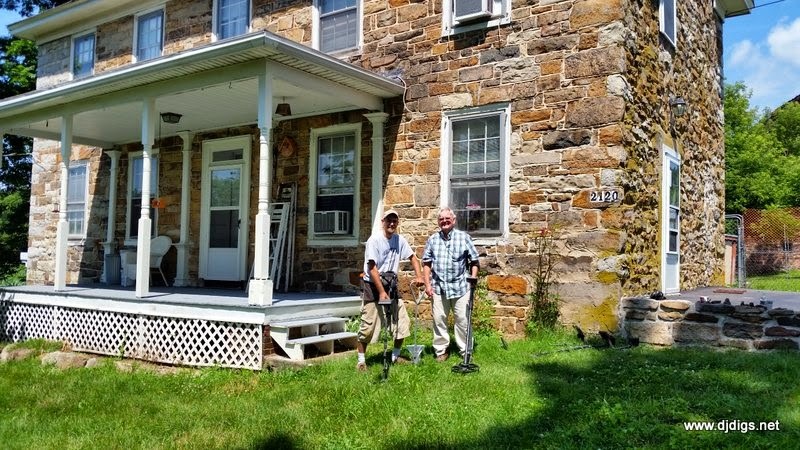 A few weeks ago I stopped and knocked on the door and asked permission to hunt. The homeowner was nice enough to take the time to hear me out, and we talked for a few minutes. He was actually in the middle of getting a haircut when we first met - LOL. 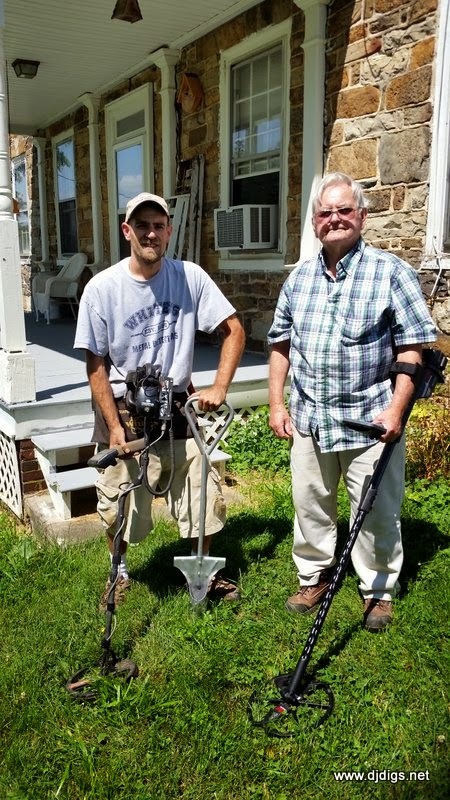 He said that his father has a machine and he enjoys detecting the property. Joking around, I said "Yeah, but does he know what he's doing?" Luckily, Joe the homeowner took it as I intended, and with a smile he said wasn't really sure. I gave him my card and said I was hoping to hear from him. 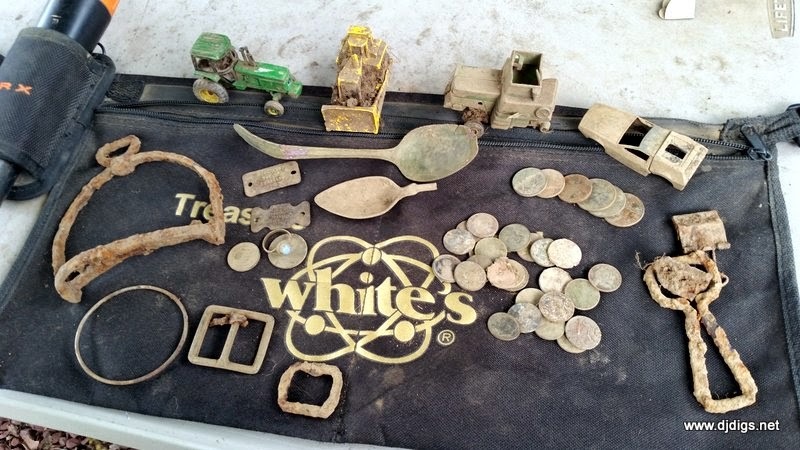 A week later, he called and said his father was interested in detecting with me! So, this past Friday, I called Joe and asked if I could come this weekend. He said yes. He also happened to be with his father and his father wanted to meet me - right now. I was in the area, so I headed over to meet them. I met the whole family - Joe, his wife, his sister, and his dad! What nice people. One thing I love about this hobby is that you get the chance to meet so many interesting and kind people. 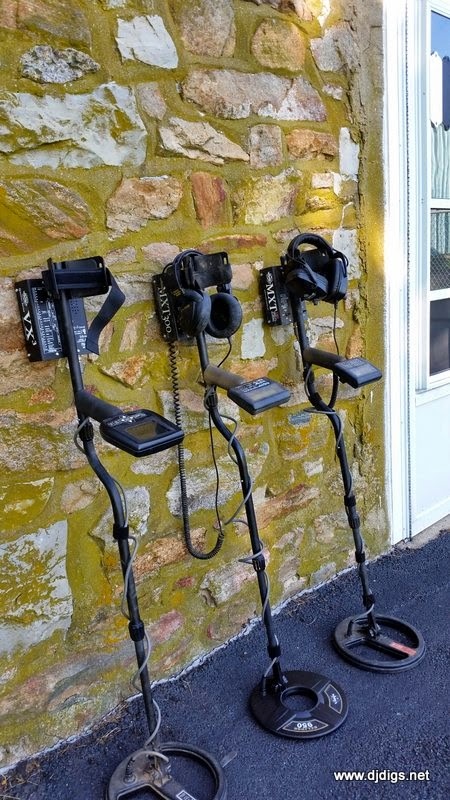 Joe's father is a retired inventor. We discussed his numerous inventions and he showed me an awesome shovel that he customized for detecting. I was really impressed - it looks like it would take the whole plug out in one shot. I told him how cool I thought it was, we talked for a few more minutes, and we made plans to detect the next morning. But then I had to get back to work! So I headed out early this morning. I took both of my MXTs but I was also eager to try out my new VX3. Joe used my old MXT and I started off with my MXT All-Pro. I immediately headed to the front yard. Within minutes I could tell that there was iron everywhere. It was really hard to work with. The targets were tough. 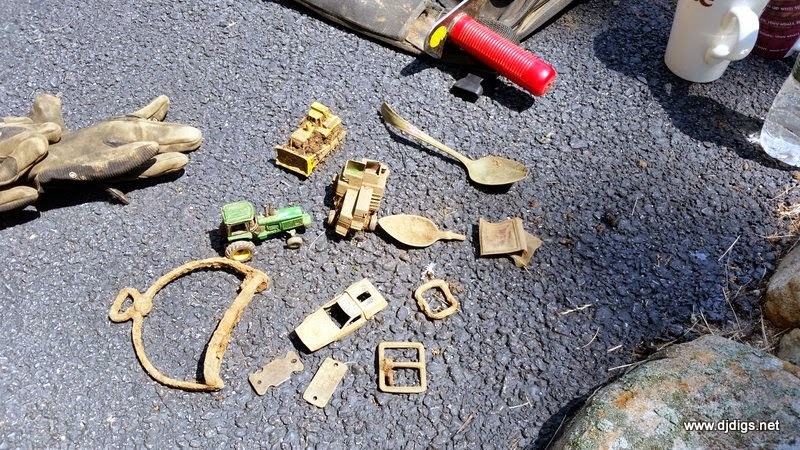 I managed a few toy tractors and a bunch of clad, but I couldn't really find anything deep or old. I played around with the VX3 for a while, but it's new to me and I was torn between using what I know or learning on the hunt. The VX3 is really an incredible machine. 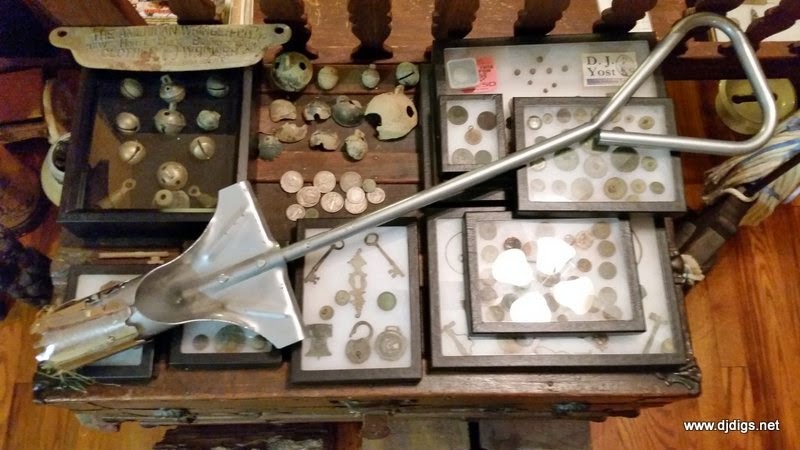 I have a little bit to learn and hopefully a lot of good finds to come. 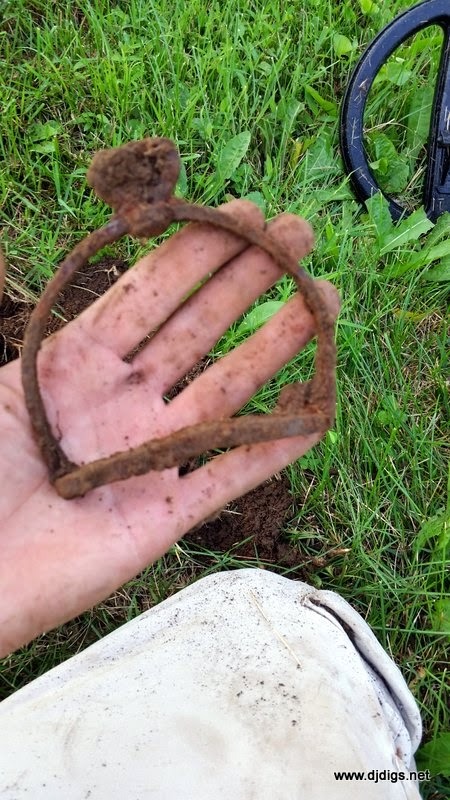 An old metal stirrup - looks like it was from a pony. We hunted for a total of three hours. 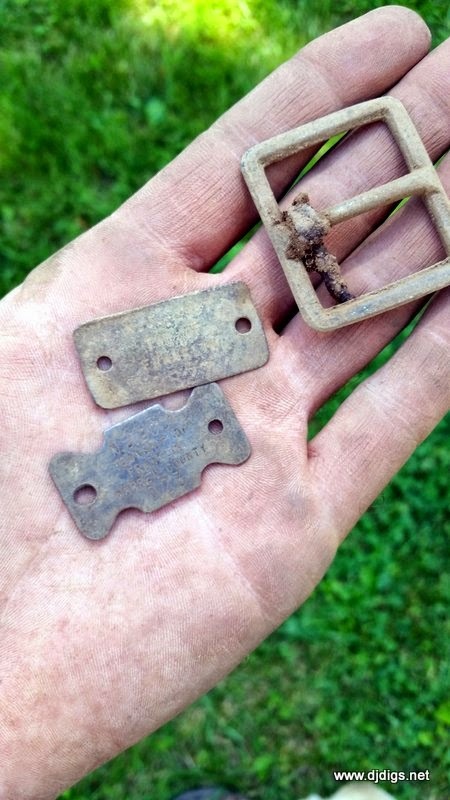 By the end of the hunt, I found two local dog tags. Joe's dad wondered how the dogs lost their tags and I answered, seriously, "They fall out of their pockets." It took him a second, but when he got it - he laughed really hard! And remember that custom shovel I told you about earlier? Well, Joe's father made me one of my own! Just goes to show you what great people there are out there. I couldn't believe it! I just met him 24 hours ago. Not only was he generous, his work and his stories are so interesting. I was truly honored to meet him. He was 80 years old and so young at heart. The whole family was great. Good people! I hope to see them again. On my way home, I decided to stop in a nearby town with a center square that has some history. 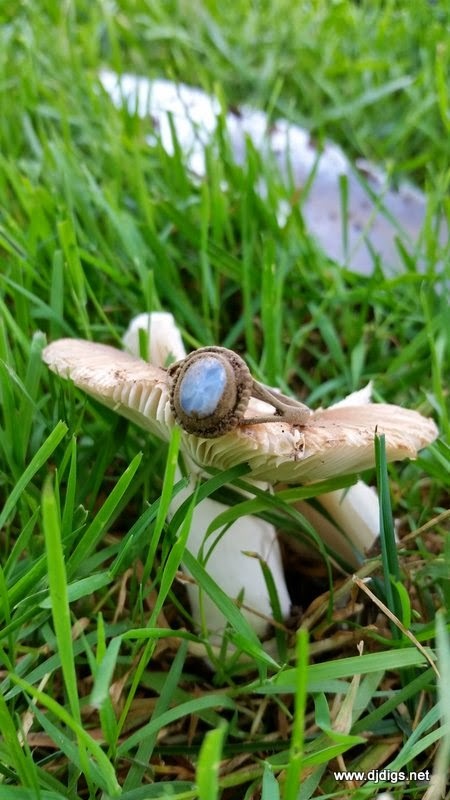 A nice Victorian-era ring with a blue stone. Today was really hot, nothing fancy came out of the ground. I physically detected for about 7-hours straight. I randomly talked to a bunch of people today and gave out a few cards... but it was one of the best days I've had in a while. Sometimes you really have to take a step back and appreciate the other aspects of the hobby, such as the friends you make along the way. 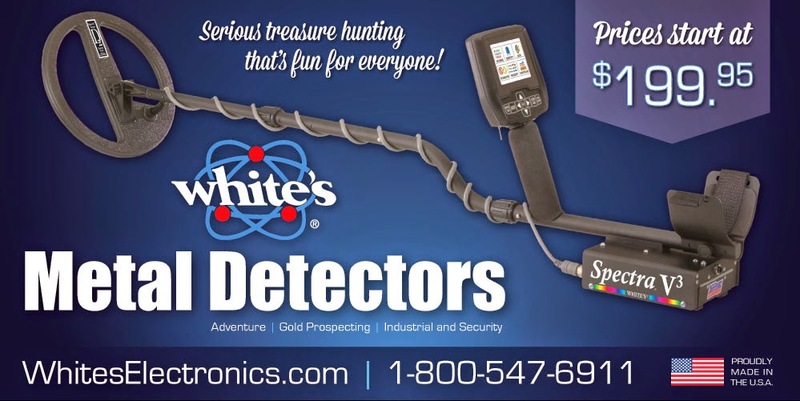 If you remember that, you'll never have a bad day detecting.